This the story of Bob Marley(Vikramajeet) and tega Singh Bob Marley is an Indian don who has now settled down in Europe. The entire police force is after him but no one manages to even get a clue about his deeds. Left with no choice, the cops decide to deal the case with the help of a dangerous gangster called Teda Singh(Balakrishna). They approach Teda Singh and he too happily agrees to do the task. But the cops get a shock of their lives when they come to know that Teda Singh already has a connection with Bob Marley. Who is this Teda Singh? What does he have to do with Bob Marley? and how does he nab the dreaded gangster is the whole story about? 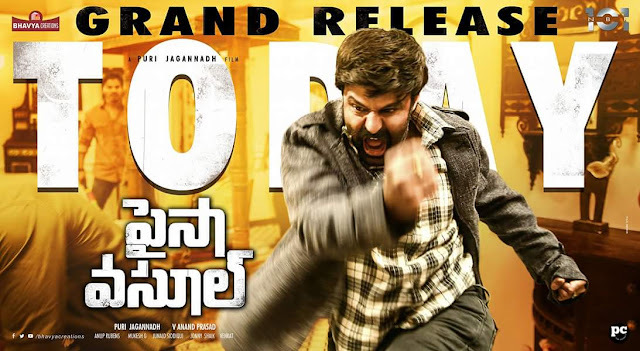 Balayya did a one man show which is visual feast to his fan base and puri became success in bringing out a different angle in Balakrishna after many days. All the punch dialogues got a good applause in the theatres and especially song sung by Balayya. Shriya is asual beautiful with her performance .